Chinese-born violist Silu Fei has enjoyed great acclaim as an orchestral and chamber musician. His recent orchestral experience includes section viola player in the Oregon Symphony,San Francisco Symphony, Principal Viola of the New York String Seminar Orchestra, American Youth Orchestra, Young Musicians' Foundation Debut Orchestra, and Associate Principal of the Schleswig-Holstein Music Festival Orchestra. During the 2008-2009 season, Mr. Fei not only played on concert stages all over the country, such as Carnegie Hall, Davies Hall and Walt Disney Hall as a member of the San Francisco Symphony, but also took part in the legendary and widely-acclaimed recording of Mahler's Eighth Symphony, under the baton of Maestro Michael Tilson Thomas, which won three Grammy Awards in 2009. During the past few years, Mr. Fei has collaborated with many internationally renowned conductors, such as Christoph Eschenbach, Valery Gergiev, Kurt Masur and Charles Dutoit. 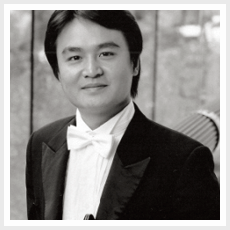 An active chamber musician, Mr. Fei is often invited to play with artists from all over the world, such as the Principals of the Vienna Philharmonic, Berlin Philharmonic and Cleveland Orchestra, and members of the Guarneri and Juilliard quartets. After a collaboration with the clarinetist Franklin Cohen, Mr. Fei's performance was highly acclaimed by the local critic as "one of the most beautiful and lyric viola sounds ever heard." The recording album "Inner world" composed by David Lefkowitz was released in 2008 featured Mr. Fei as the soloist, and Duet collaboration with renowned violist Mr. Paul Coletti. Besides playing, Mr. Fei also devote himself in teaching. In 2009-2010 season, he volunteered teaching and coaching in Youth Orchestra of Los Angeles and Harmonic Project which focused on helping low-income family to get musical education. Born in Chengdu, China, Mr. Fei began his musical training at the age of four. Two years after entering the Sichuan Conservatory of Music, Mr. Fei switched his major from violin to viola. After graduation, Mr. Fei entered the famous Shanghai Conservatory for his undergraduate study with Ms. XiDi Shen. During four years there, Mr. Fei won Third Prize in the National Viola Competition and was invited to be the Principal Violist of the Shanghai Youth Orchestra. In his junior year, Mr. Fei was invited to the Pacific Music Festival in Japan as one of the representatives of the Shanghai Conservatory. After graduating from the conservatory in 2005 with a Bachelor degree in music performance, Mr. Fei was awarded a full scholarship to study with Mr. Paul Coletti in the Artist Diploma program at the Colburn School of Music in Los Angeles. 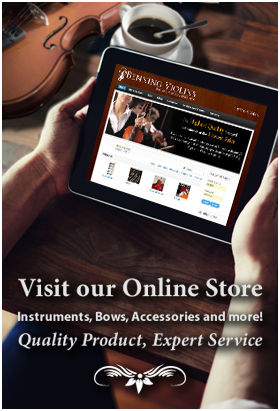 Silu Fei has purchase the latest Eric Benning viola made in 2010. This viola is based on a Stradivarius model and features the same wood as the last viola made for the Colburn School.